Marchelle Tigner isn’t just another gun trainer. The Army National Guard vet and firearms instructor is on a mission: to train one million women how to operate and shoot a firearm. As a domestic violence and sexual assault survivor, she aims to bring ladies, especially women of color, into the training fold to give them the confidence and knowledge to survive. Instructing under her own business, Trigger Happy Firearm Instruction, Tigner spends her weekends traveling from city to city leaving her mark on the women who anxiously enter her classroom seeking handgun training and safety tips. Guns.com recently caught up with Tigner to find out why she’s shooting for the stars, what holds ladies back and how the gun industry can do better by women. Guns.com: What brought you into the training industry? Tigner: I served in the Army National Guard for seven years. I was military intelligence and that’s where I first learned how to shoot rifles and handguns. Specifically with military intelligence, the handgun is usually our primary weapon. I ended up shooting that almost as much as I shot my rifle. Then I got out of the military and started working at a gun range in Atlanta and that’s when I began teaching civilians how to shoot and mastering the pistol. I worked there for about a year and then I decided to go at it on my own and start my own company and focus specifically on teaching women. Guns: We saw that you set your sights on teaching one million women. Why set such a large goal for yourself? Tigner: I was just thinking one day that I hadn’t really given myself an end point. I was thinking of something that was almost impossible. I thought, well, I think a million sounds almost impossible. Why not shoot for that? I even did the math. I would have to teach 2,000 students a month over the years that I’m actually going to be physically able to teach people. I realize it’s a crazy goal, but I figure why not go high instead of going low and try for it. Guns.com: Why do you think women seem more hesitant to go to gun classes or pursue training? Tigner: I think it’s because of the stereotypes associated with women and firearms. Every single time I tell someone I’m a firearms instructor, the first thing they say is, “Oh, don’t make her mad. Watch out for her.” They don’t realize, though, that by saying that they are feeding into the stereotype that women are irrational — we can’t control our emotions enough to be able to deescalate a situation or get out of a situation without having to shoot somebody. I think that’s the reason a lot of women don’t want to say I’m going to a gun class because they don’t want be seen as aggressive or irrational. Guns.com: In the same vein, do you think there is a stigma with being a female gun instructor? Do you receive negativity because you are a woman training other women? Tigner: Of course! I get negativity for being a woman, but also for being a black woman. I’m like a unicorn in the industry. I do get a lot of feedback that is negative, especially because a lot of the images I have out there, I look girly. It’s not risqué, but I don’t look like what you would think of as a firearms instructor. So they don’t take me as serious at first until they see the videos of me actually shooting and they see the videos of me instructing and they know I’m not a gun bunny. Guns.com: You hit on an important idea that femininity and firearms clash within the industry, so how does the gun industry turn this idea that gun owners are masculine around? Tigner: I think they’re trying to make an effort to bring femininity into the gun world by adding colorful holsters and Cerakoting, but I think the people making these decisions are male, so they think that’s what we want. But they don’t know what we want. Bringing in women into the gun sports doesn’t mean having a pink Glock 19. It means how about we work on holsters that work better for a woman’s body. How about we tailor some of these classes to how females have to draw sometimes. Sometimes we don’t have the luxury of having our firearm at our 3 o’clock or appendix carry. Sometimes it has to be when we’re wearing a dress or heels. Those are the types of things I wish they would focus more on. Guns.com: Your classes are open to any woman, but you specifically market towards African-American women. 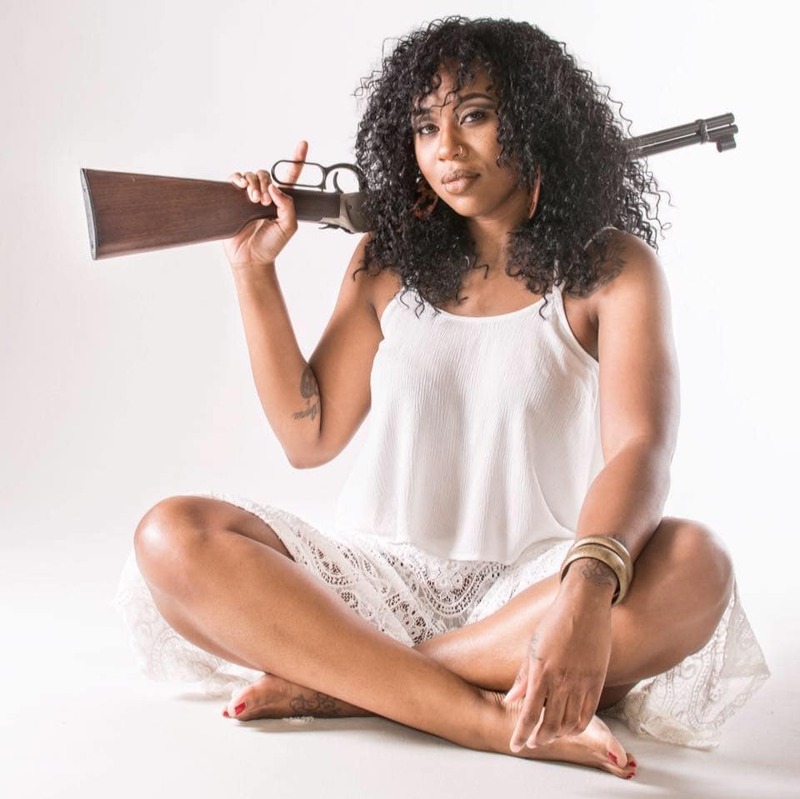 I’m curious as to your opinion on how the industry treats African-American female gun owners? Tigner: I think it’s worse, as far as the stereotyping goes, because on one hand you’re a woman already. You’re already kicked back 10 points because of that. 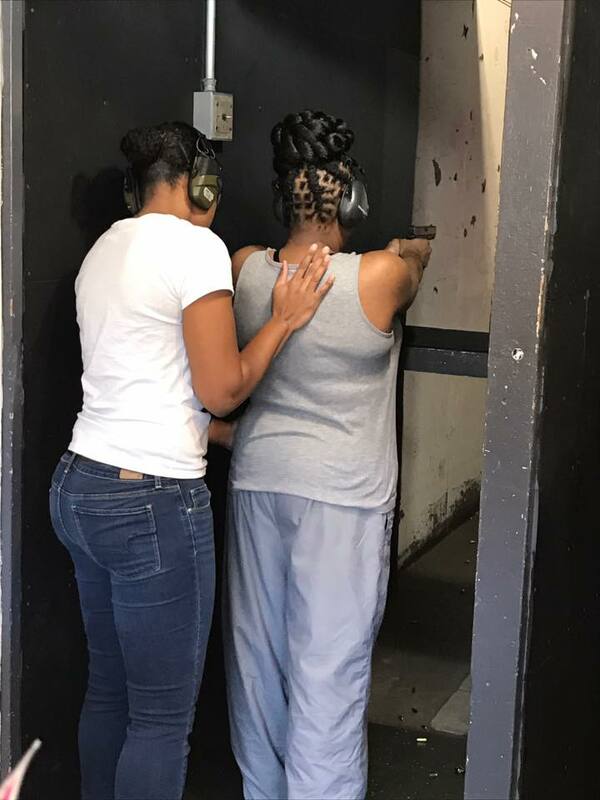 Then being an African-American women you have to face all the struggles that minorities face in terms of the stereotypes with minorities and firearms. Growing up, every time I turned on the TV, the only people who had guns ever were criminals and police officers. If you’re a black person and every day citizen, where do you fit in? I think that’s one of the biggest struggles and that’s why I wanted to focus on teaching women of color. Just to make them feel like it’s ok and it’s normal and you don’t have to feel like a criminal because you want to use your Second Amendment rights like everyone else.